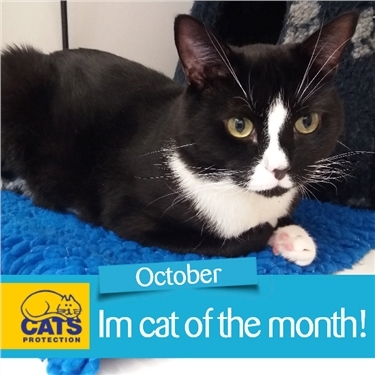 Its cat of the month time again. October's star is (drumroll please).... Eddie! Eddie has been with us since February, and he is 5 years old. He was brought to us originally as his owner was unable to give him the care he needed. He is a quite a dhy little lad, who likes his own space. He isnt opposed to company, just doesnt particularly enjoy too much fuss and attention. Totally fair enough! Eddie is used to a quiet home, with no children or other pets- so we think thats what he needs in the future too. He has always been an indoor cat in the past, however we think he would like to get out in his new home- as he seems to have an interest in it here in the centre.